Frances Price is a force of nature. 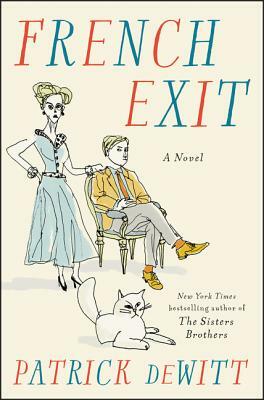 Living the charmed life of a wealthy widow, complete with a scandalous past, Frances reigns over waiters, friends, and her adult son Malcolm, who lives with her, with equal acerbity. Malcolm, for his part, is passive to a degree that would be unnerving if not for the fact that he’s perfectly happy with the status quo - much to the chagrin of his fiancée, Susan. But when Frances spends every bit of her money she and Malcolm pack up for Paris, taking their elderly cat Small Frank (who happens to house the spirit of the late Mr. Price). So begins a farcical “tragedy of manners” that rivals P.G. Wodehouse and Barbara Pym for its intricate plot and witty dialogue. This is a finish-in-one-sitting, smile-while-you’re-reading, entertaining read!